Russia threatened (Israel) to respond to the killing of 14 officers and Russian soldier unless the Zionist pilots and the commander of the operations unit that gave orders to bomb Lattakia without taking into account the presence of Russian aircraft are punished. Russia defied (Israel) and sent 12 Sukhoi 35s over the coast of occupied Palestine. The atmosphere is tense despite the diplomatic rhetoric that is issued quietly but the military atmosphere is very tense and the rules of engagement may start between the two parties at any moment. After Netanyahu called Putin and apologized, Russian President Vladimir Putin refused the apology. He called for a Russian-Israeli investigation commission of pilots from the Russian and Israeli Air Force. And that according to the result, The four pilots who led the enemy planes when bombing sites in Latakia should be punished. The commander of the Israeli air force, accompanied by the commander of the air operations unit, and the commander of the F-16 squadron, which carried out four aircraft, including the aggression on Latakia has offered his condolences and then apologized for the killing of the 14 victims and the downing of the Russian plane, and explained that his planes arrived two minutes ago to Lattakia before the arrival of the Russian plane. 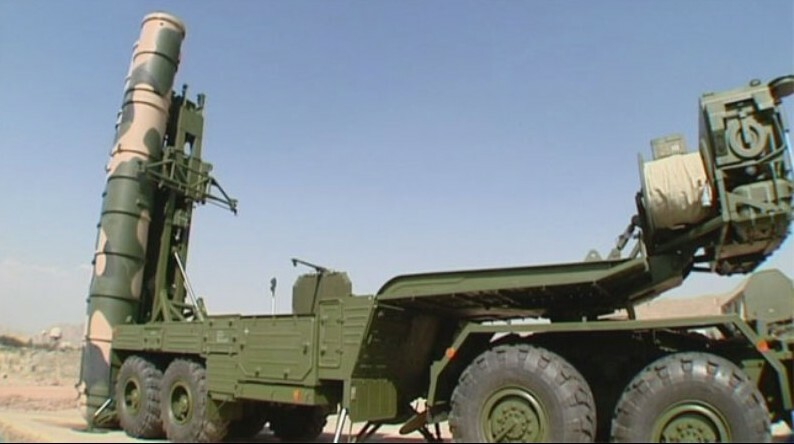 But Syrian air defense missiles fired their missiles indiscriminately at air targets. Causing the Russian plane hit, they did not focus only on planes hostile to them according to the Israeli Commander. How do you divide the radar between 5 air targets, four of them (Israeli) and one Russian? Why did your aircraft enter the landing area of ​​the Russian plane at the Humimim base? Why did you not give the news 15 minutes ago? Where the Russian plane was then over Cyprus. An urgent order was issued to our aircraft to go immediately to bombard the target in Lattakia. It was not possible to tell anyone about our air strike. Because it may be revealed, and we could put our four pilots at risk! What kind of military ethics , Military professionalism , or any military discipline, values ​​and military principles that will help you keep the pilots of the F-16 military aircraft that’s capable of flying high quickly, retreating, and maneuvering. While leaving a transport aircraft located in the air defense missile strike and used by your coward pilots as a shield to take shelter from the fire of the air defenses. You are responsible for the killing of the 14 Russian victims and those who compensate for their lives for their families and the honor of the Russian army. Therefore, we reject your apology. From now on, any (Israeli) plane approaching the Syrian coast will immediately get hit. So why did you complete the road to bombardment and made the Russian plane exposed to the air defense system? To bomb a target that is 6 km from the Russian air base? At the same time, your aircraft used the Russian plane as a shield and covered it and became hidden between your four aircrafts. The commander of the Russian air force continued: Your pilots did not act responsibly, but behaved cowardly and took our aircraft, killing our soldiers because of poor performance, their cowardice and slag. We will only accept the investigation and punishment of the pilots and their commander of the operations unit who gave orders to send the 4 aircraft. "We are at war with Iran, Hezbollah and Syria, and we can not accept an investigation. Therefore, we believe that we should bomb any center suspected of bringing down military equipment from Iran to Iranian forces and Hezbollah in Syria. We are responsible for the security and airspace of Syria. And we will drop every aircraft penetrating it and we will send our aircraft over the coast (Israeli) And if we intercepted aircraft we will engage with it. And let’s see who wins. The meeting ended with you, you have a week to investigate with a Russian military air commission, and unless that happens, the consequences will be severe on your air force and on Israel. "We have an air force capable of working in the entire region and your words are a threat to us. Tonight we are sending 12 S-35 air jets to your cost and we wont wait for the investigation or your approval for the investigation as long as you have an air force.